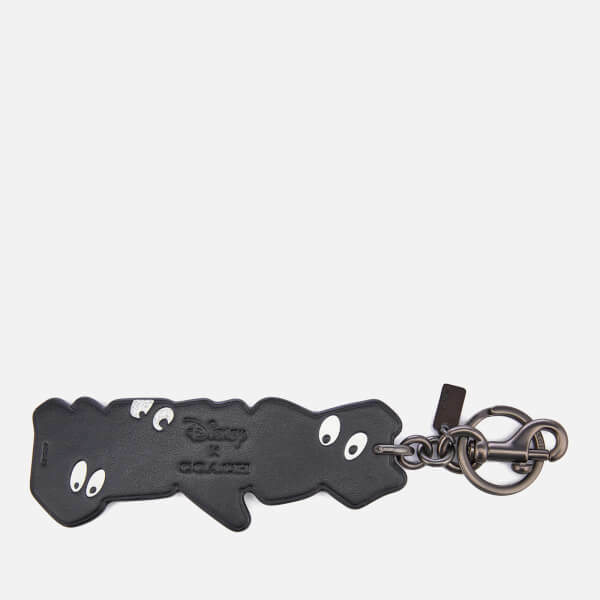 Women's 'Dopey' bag charm from the Disney X Coach: A Dark Fairy Tale collection. Crafted from refined calf leather, the keyring showcases the name of the well-known character from Snow White and the Seven Dwarfs in glittery, Gothic-style lettering. 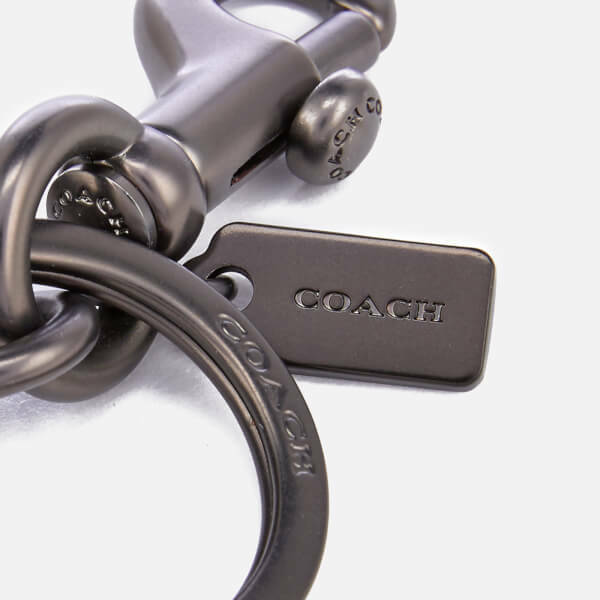 Features a dogleash clip and a split keyring. Complete with branding and gun metal toned hardware. Plain reverse with eye details.